Somewhat 72 years after the end of World War II, hundreds of Jewish British citizens are applying for a German passport and have a realistic chance of getting one. As that would absolutely be unthinkable in many Jewish communities around the globe, you’d have to be inclined to ask: why? Plus, how is that even possible? But, let’s take a step back to the second biggest surprise of 2016, only trumped by the US-President, the Brexit. A year and a half later, the future of Great Britain is still very much unclear, but many people suspect that it won’t be too bright. Consequently, people think hard about what they can do to safeguard their situation. There are legitimate fears that the economic situation in the United Kingdom will deteriorate once Britain has effectively left the European Union. One thing that definitely is in danger, is the freedom to move about in Europe without having to worry about visa, enabling you to take a job anywhere without too much trouble. And for Jewish citizens of the UK, this is where it gets interesting. The German Grundgesetz, our constitution that was issued in 1949, includes an article (No 116) that allows for descendants of Jewish refugees in World War II to obtain the German citizenship. The law is related to rescinding of the German citizenship for all German Jews leaving the country, which came into effect in 1941. While the German Embassy in London received approximately 25 applications for citizenship per annum in recent years, there have been more than 500 new inquiries about the application process since the Brexit Referendum. Now, 500 people aren’t the world, but in relation to the specific group and its history, the development is quite remarkable. The German Embassy is not the only one with increased application numbers. The same goes for the Embassies of Austria and Poland. 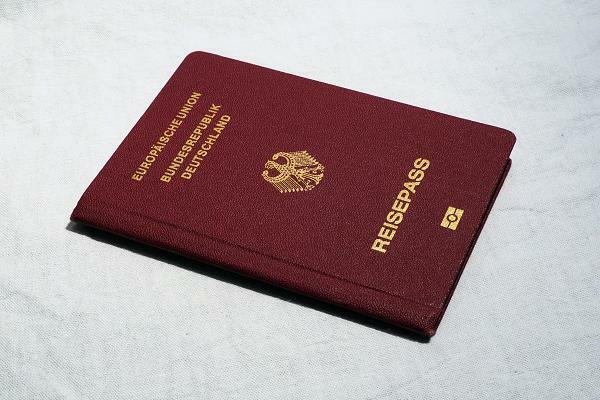 Still, for many Jewish People taking up German citizenship is unthinkable. Germany is after all the scene of the worst slaughter of Jews ever witnessed. And when you’re parents or grandparents have been its victims, 72 years is actually not that long ago. Even if a German passport wouldn’t mean that people would actually have to or want to live in Germany, for a lot of Jewish people the idea must be somewhat befuddling. But for some of the Jewish people applying for a German passport, it’s about more than keeping their personal options open. It’s also about Europe – a structure that was at least in part created to make war in Europe impossible, which it does, within limits. To some, it is even about reconciliation. Interestingly enough, there are growing Jewish communities in Germany. Especially Berlin and other larger cities have had an influx of Jewish people from Eastern Europe and other parts of the world. In recent years, particularly the capital has seen a rising number of young Israeli moving in. There are a couple of Jewish organizations from the different streams, counting more than 100.000 members, a number which has rapidly grown from roughly 30.000 in 1989. The last 60 years witnessed the building of more than a hundred Synagogues and Jewish community centers. One can certainly say that there has been a return of Jewish life to Germany to some extent. Thus, British Jews actually coming to Germany would not even be early adapters. So, whether it might be for practical reasons or to reconcile with their own and with our German past, there is a strong possibility that we’re able to welcome a few more Jewish Germans in the near future. As an advocate of transculturality, I think that’s amazing.